With focus on userfriendly features Userfriendly design across all devices. Desktop,laptop,tablet & mobile. At Triangle InfoTech, a creative web design firm, we take time to understand our esteemed customer’s business from web usability and search engine techniques. We create the highest quality bespoke websites to attract new customers, promote your brand, increase sales and maximize revenue. In our fabulous Web Designing, we utilize the latest technologies to design and deliver cutting edge web and digital user interfaces. Our websites are Fully Customized Website to Suit Your Business. Get our dedicated and experience web experts’ team in your corner and on your team. Responsive Website Design with Mobile SEO Strategy Best responsive web design includes these three technical features media queries, a flexible grid-based layout and flexible images and media. 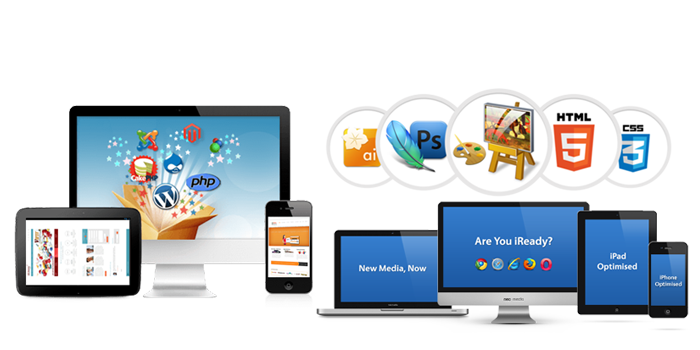 We at top Web Design Companies in India can help you to structure your new website or help you to improve your existing one. With our Web Design, We strive to get your website in right way from the beginning, giving it a solid foundation. We would love to help you explore the opportunity to increase your mobile user traffic and conversion. Just contact us and we will talk it over with you! We work with our clients to create professional and effective web sites. Our website design and development taken into consideration the growing need for "Mobile Ready" design. We will incorporate a variety of online marketing tools to make your brand stand out.